Sun, Mar 24, 2019, 09:17 pm SL Time, ColomboPage News Desk, Sri Lanka. Mar 24, Colombo: The first edition of the 'Enterprise Sri Lanka To Your Village' mobile service was launched on Saturday in Weligama, Matara. 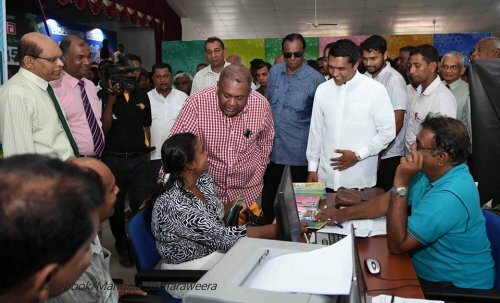 According to Minister of Finance Mangala Samaraweera, over 5000 prospective entrepreneurs were provided with a range of services under one roof. 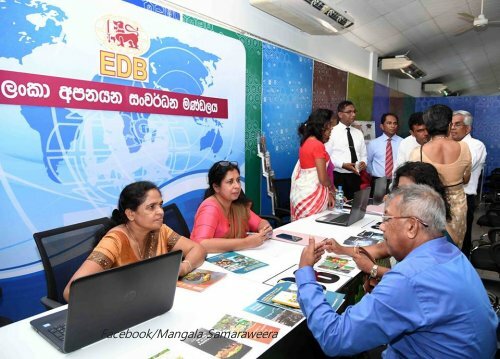 Mobile offices of Bank of Ceylon, People's Bank and the Regional Development Bank provided advice on loan schemes and offered technical support on how to proceed with loans while registering many new entrepreneurs. The Sri Lanka Tourism Development Authority (SLTDA) provided many entrepreneurs who have started 'Homestays' to get the necessary project approvals and business registration. The Sri Lanka Export Development Board and the Industrial Development Board along with other government agencies offered a range of services including technical advice for small and medium scale enterprises. The 'Enterprise Sri Lanka To Your Village' mobile service will travel to different parts of the country within the next few months, Minister Samaraweera said.